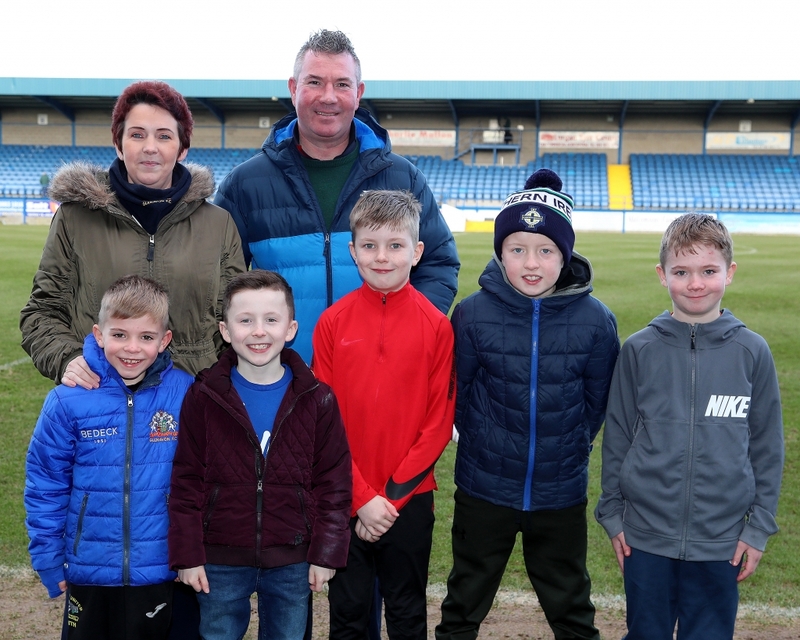 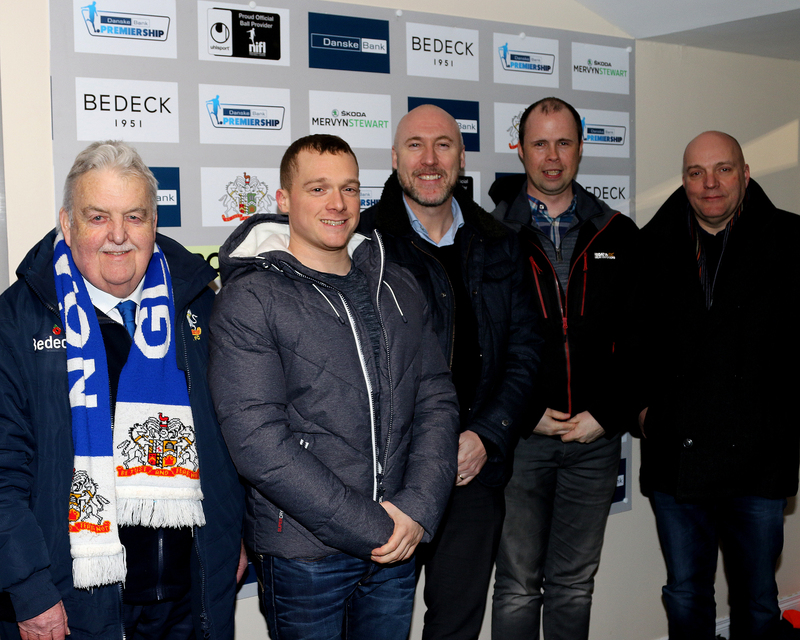 Many thanks to all our sponsors for Saturday’s Danske Bank Premiership game with Ards and Monday night’s Tennent’s Irish Cup match with Dungannon Swifts. 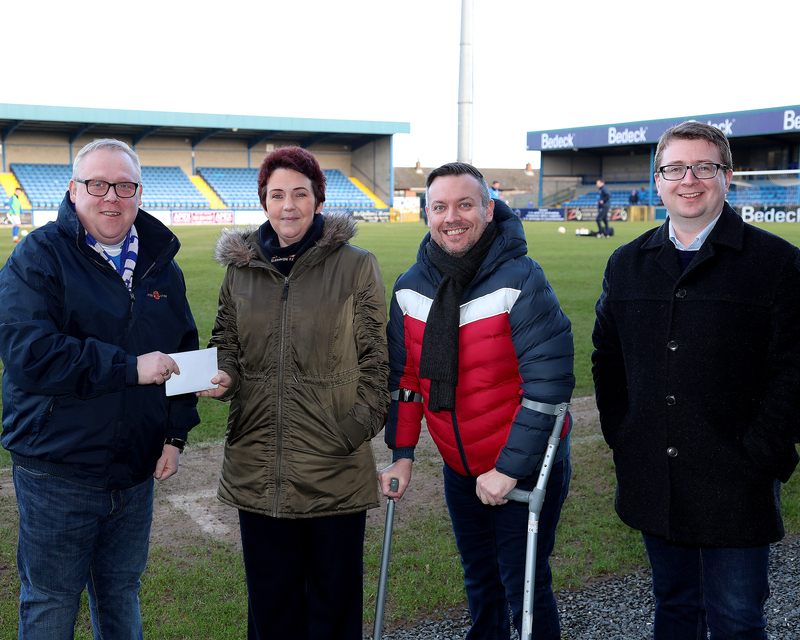 William Steele, Andy White and Craig Collen present Leigh McClune with the Ball Sponsors cheque. 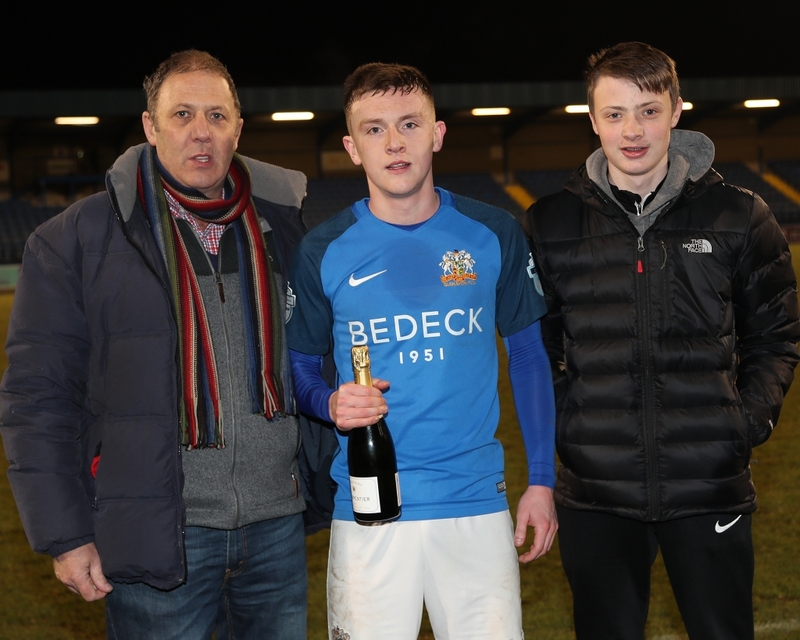 Kyle Savage and Louise McKinstry present Josh Daniels with the MOM award. 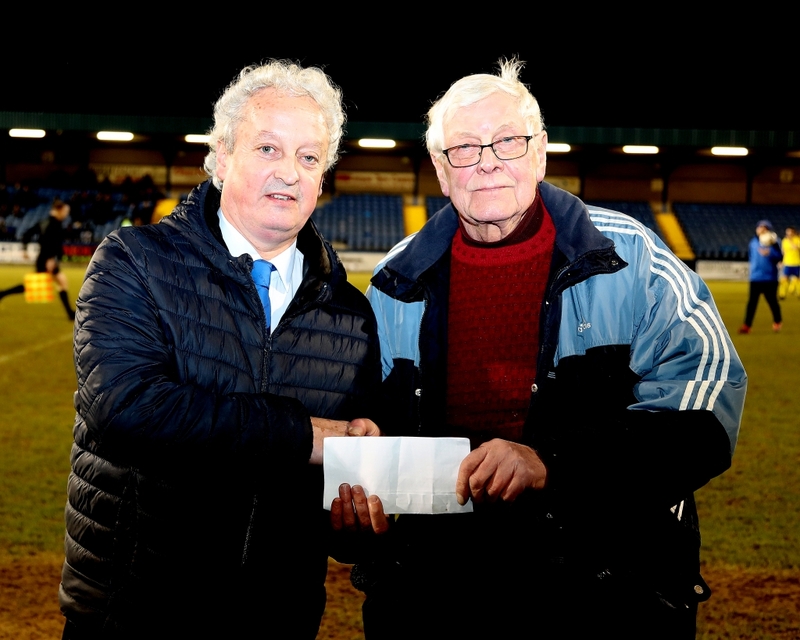 Mervyn Percy presents Eddie Drury with the Match Sponsorship cheque on behalf of the four Triangle GSC members. 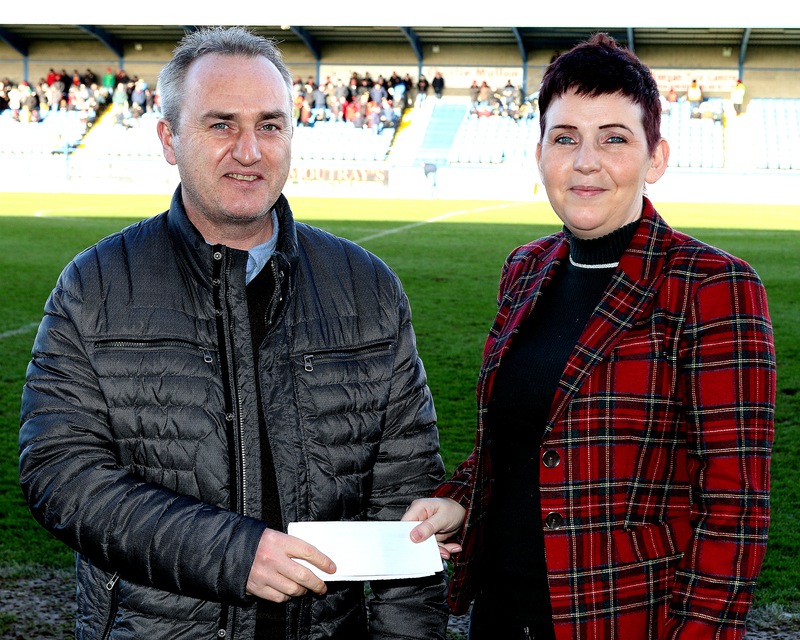 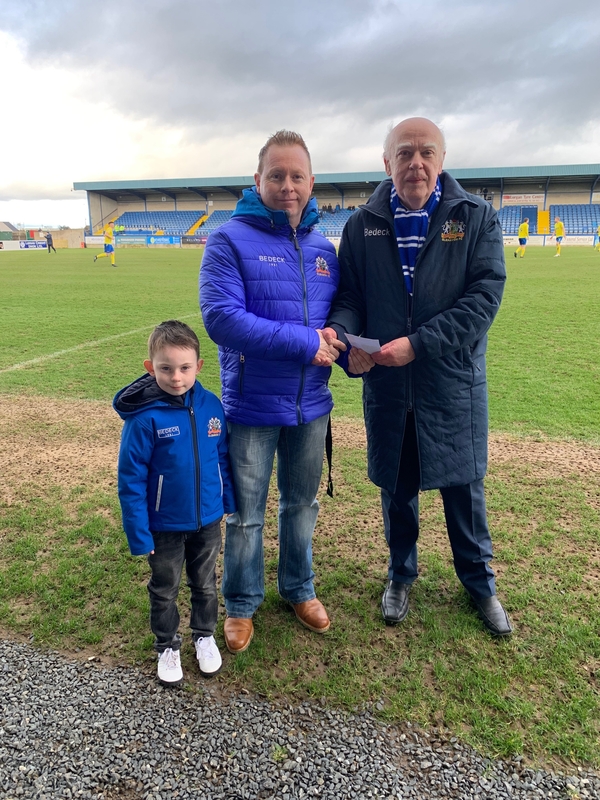 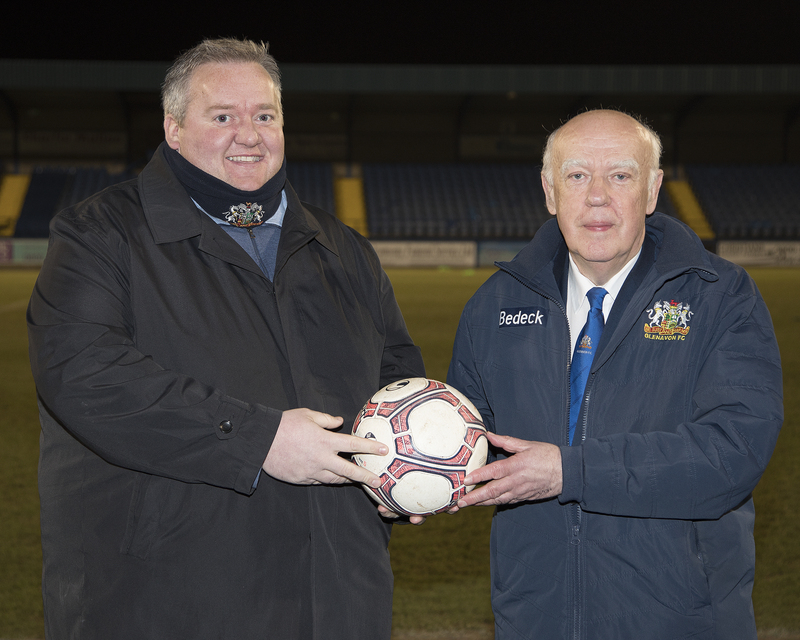 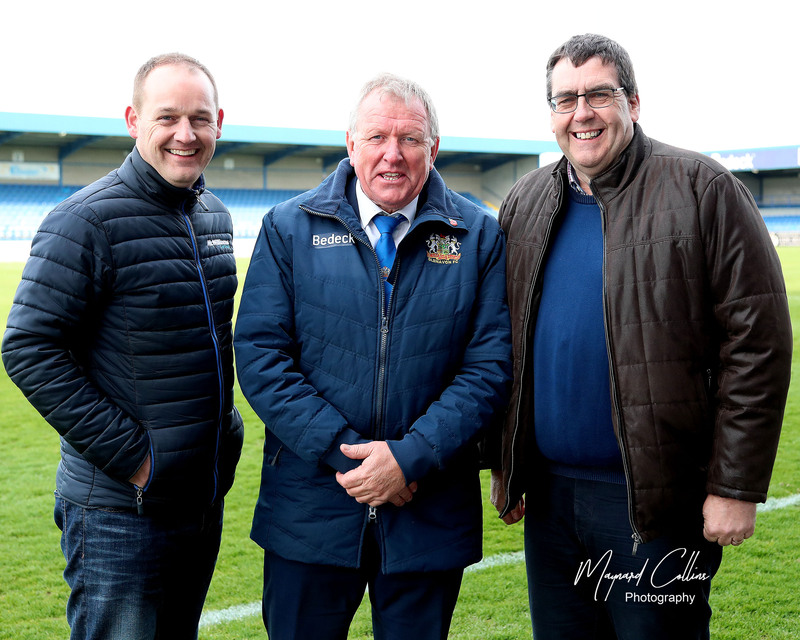 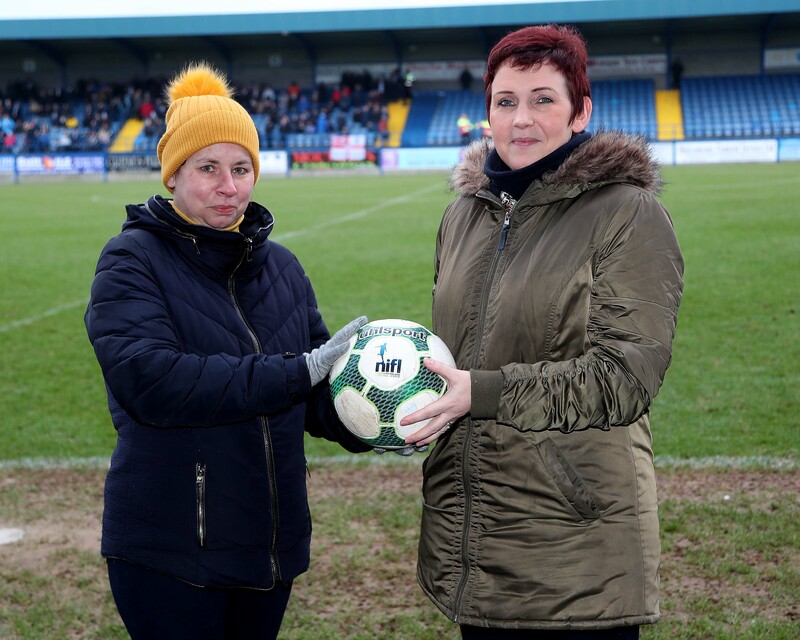 Ball Sponsor Paddy Allen of Moira Gallops with Glenavon Vice-Chairman John Sinnamon. 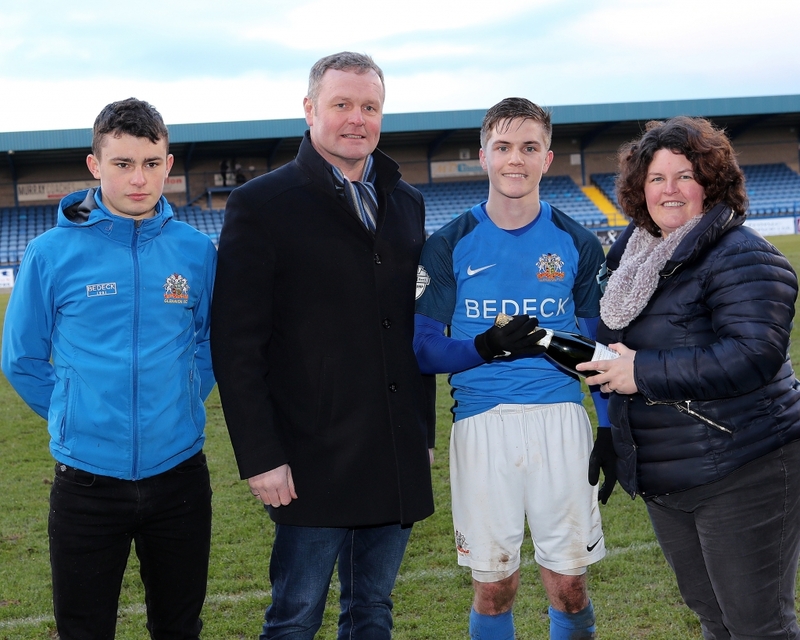 Philip and Matthew Harrison from Craigavon Koi and Aquatics present James Singleton with the MOM Award.